The Office of Financial Aid and Scholarships will communicate with you via AidLink and email. Be sure to check both, regularly. AidLink gives you access to your latest SDSU financial aid information, 24 hours a day, every day. Watch a short video to learn more about AidLink. Learn how to submit completed forms and documents to us. 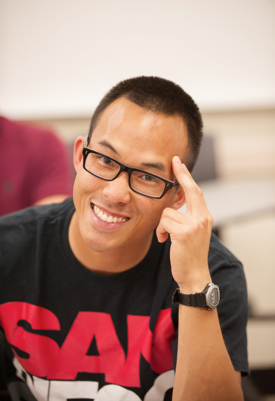 To apply for financial aid at SDSU, complete the Free Application for Federal Aid, or FAFSA. Students of all class levels should complete the FAFSA to be considered for all types of state and federal aid: grants, work study, student and parent loans, and some scholarships. The California Dream Act allows students who are without lawful immigration status to receive certain financial aid, if eligible. Find out if you are eligible and how to apply. Learn about DACA, a federal status that gives 2 years of deferred action to certain individuals who are not in lawful immigration status and who entered the United States as minors. After October 1 each year, complete the Free Application for Federal Student Aid (FAFSA) to be considered for grants, loans and work study. The FAFSA and instructions are online at the FAFSA website. You may apply before being admitted to SDSU. Read more about SDSU's priority deadlines and when to apply.